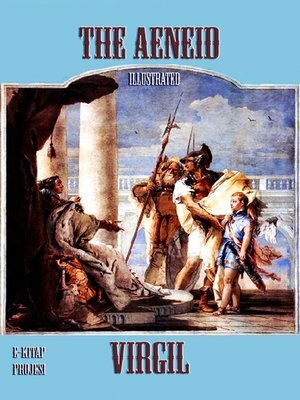 The Aeneid is widely considered Virgil's finest work and one of the most important poems in the history of western literature. Virgil worked on the Aeneid during the last eleven years of his life (29–19 BC), commissioned, according to Propertius, by Augustus. The epic poem consists of 12 books in dactylic hexameter verse which describe the journey of Aeneas, a warrior fleeing the sack of Troy, to Italy, his battle with the Italian prince Turnus, and the foundation of a city from which Rome would emerge. The Aeneid's first six books describe the journey of Aeneas from Troy to Rome. Virgil made use of several models in the composition of his epic; Homer the preeminent classical epicist is everywhere present, but Virgil also makes especial use of the Latin poet Ennius and the Hellenistic poet Apollonius of Rhodes among the various other writers to which he alludes. Although the Aeneid casts itself firmly into the epic mode, it often seeks to expand the genre by including elements of other genres such as tragedy and aetiological poetry. Ancient commentators noted that Virgil seems to divide the Aeneid into two sections based on the poetry of Homer; the first six books were viewed as employing the Odyssey as a model while the last six were connected to the Iliad.Book 1 (at the head of the Odyssean section) opens with a storm which Juno, Aeneas' enemy throughout the poem, stirs up against the fleet. The storm drives the hero to the coast of Carthage, which historically was Rome's deadliest foe. The queen, Dido, welcomes the ancestor of the Romans, and under the influence of the gods falls deeply in love with him. At a banquet in Book 2, Aeneas tells the story of the sack of Troy, the death of his wife, and his escape, to the enthralled Carthaginians, while in Book 3 he recounts to them his wanderings over the Mediterranean in search of a suitable new home. Jupiter in Book 4 recalls the lingering Aeneas to his duty to found a new city, and he slips away from Carthage, leaving Dido to commit suicide, cursing Aeneas and calling down revenge in a symbolic anticipation of the fierce wars between Carthage and Rome. In Book 5, Aeneas' father Anchises dies and funeral games are celebrated for him. On reaching Cumae, in Italy in Book 6, Aeneas consults the Cumaean Sibyl, who conducts him through theUnderworld where Aeneas meets the dead Anchises who reveals Rome's destiny to his son.Book 7 (beginning the Iliadic half) opens with an address to the muse and recounts Aeneas' arrival in Italy and betrothal to Lavinia, daughter of King Latinus. Lavinia had already been promised to Turnus, the king of the Rutulians, who is roused to war by the Fury Allecto, and Amata Lavinia's mother. In Book 8, Aeneas allies with King Evander, who occupies the future site of Rome, and is given new armor and a shield depicting Roman history. Book 9 records an assault by Nisus and Euryalus on the Rutulians, Book 10, the death of Evander's young son Pallas, and 11 the death of the Volscian warrior princess Camilla and the decision to settle the war with a duel between Aeneas and Turnus. The Aeneid ends in Book 12 with the taking of Latinus' city, the death of Amata, and Aeneas' defeat and killing of Turnus, whose pleas for mercy are spurned. The final book ends with the image of Turnus' soul lamenting as it flees to the underworld.